Stormwater runoff is the leading contributor of pollutant loading to the Puget Sound and has resulted in observed and recorded impaired health to the local wildlife and water quality. The stormwater runoff from The Port of Tacoma was contaminated with heavy metals, specifically dissolved Zinc and Copper, creating a negative impact on water quality in the Port’s harbor. In an effort to improve the water quality, the Port of Tacoma’s consulting engineer– Kennedy Jenks recommended a Filterra Bioretention System designed to reduce the amount of TSS, heavy metals, nutrients and bacteria from entering the Puget Sound at two of the monitored catch basins at the Port. The Filterra Biofiltration System harnesses the power of nature to capture, cycle and immobilize stormwater pollutants to treat urban runoff. The combination of landscape vegetation and a specially designed filter media allows metals, nutrients, and total suspended solids (TSS) to be removed naturally. The specific challenge of this project was to provide a cost effective solution to reduce and remediate the adverse impact the polluted stormwater runoff was having on the water quality and the Port’s Industrial MS4 Stormwater permit. As the problem persisted, the WA State Department of Ecology required the Port of Tacoma to establish a stormwater permit “Action Plan” that would enable the Port of meet their current permit and pollutant benchmark requirements. 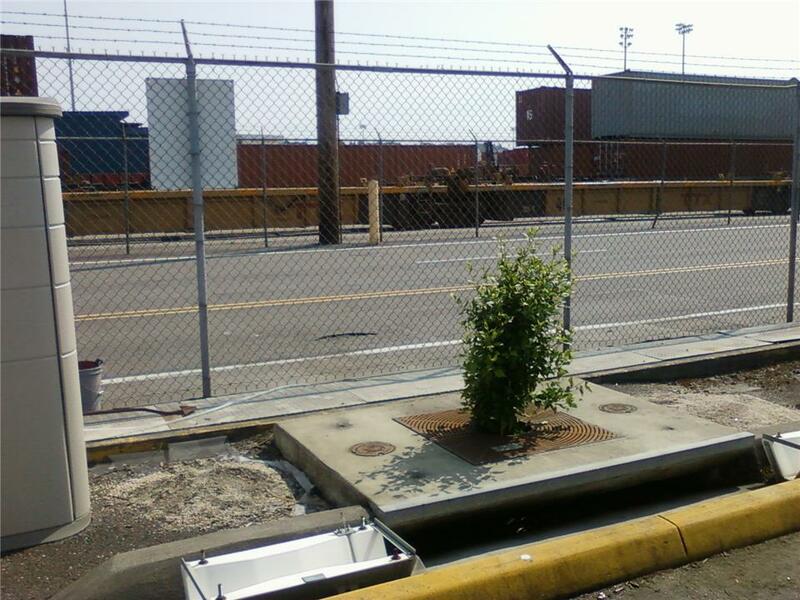 The Port of Tacoma, and through the recommendation of Kenney Jenks, implemented several substantial drainage improvements to the Port’s maintenance area including the installation of two Filterra Bioretention Systems. The purchase and installation of the Filterra system was solely funded by the Port of Tacoma. The Filterra Bioretention System was the logical choice for Port officials due the documented third party verification supporting the effectiveness and ability of the Filterra units to provide removal of TSS, heavy metals, and nutrients. Engineering and management services were provided through a collaborative effort on behalf of the Port of Tacoma, Kennedy Jenks Engineers, and Filterra. A Pacific Wax Myrtle was installed in the stormwater systems to assist with pollutant removal, and to provide a plant that could withstand partial salt water resistance.